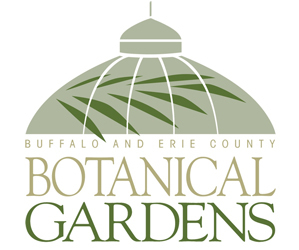 To kick off Night Lights, the popular event where the exhibits at the Buffalo and Erie County Botanical Gardens are illuminated with theatrical lighting, a launch party will be held from 6 to 9 p.m. Tuesday, Jan. 28 at the Botanical Gardens, 2655 South Park Ave., Buffalo. Tickets to the launch party include a cash bar of beer and wine, delicious snacks and special entertainment. 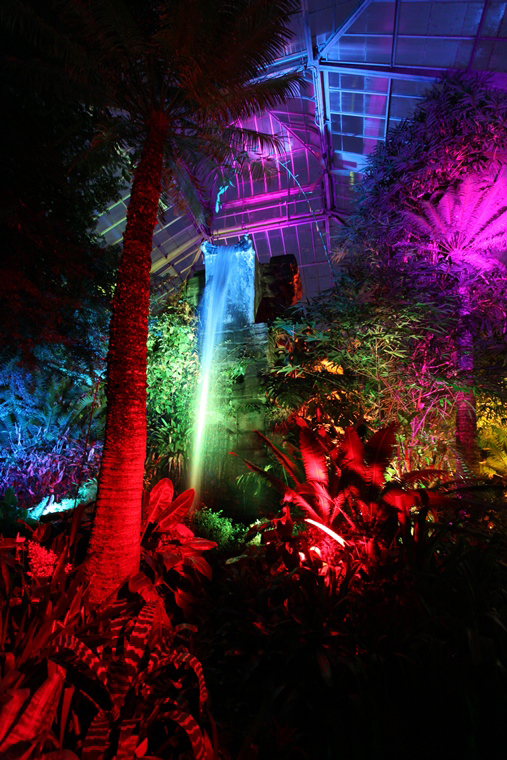 Tickets are $15 for Botanical Gardens members and subscribers to Buffalo Spree or $20 for the general public. Night Lights continues for three weeks. 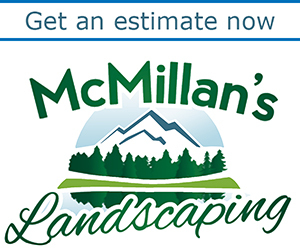 Times are 6 to 9 p.m. Wednesdays and Thursdays and 6 to 10 p.m. Fridays and Saturdays. Dates are Jan. 29 to Feb. 1, Feb. 5 to 8 and Feb. 12-15. One more special night is Photographers Night, set aside just for those who want to take pictures, especially with a tripod. Hours are 6 to 9 p.m. Tuesday, Feb. 4. You can bring a tripod on this night only. You may bring cameras and monopods on any night. 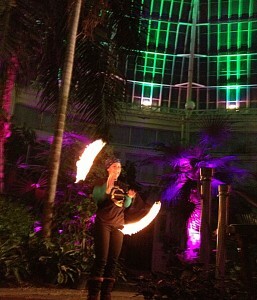 There will also be live entertainment on certain nights. 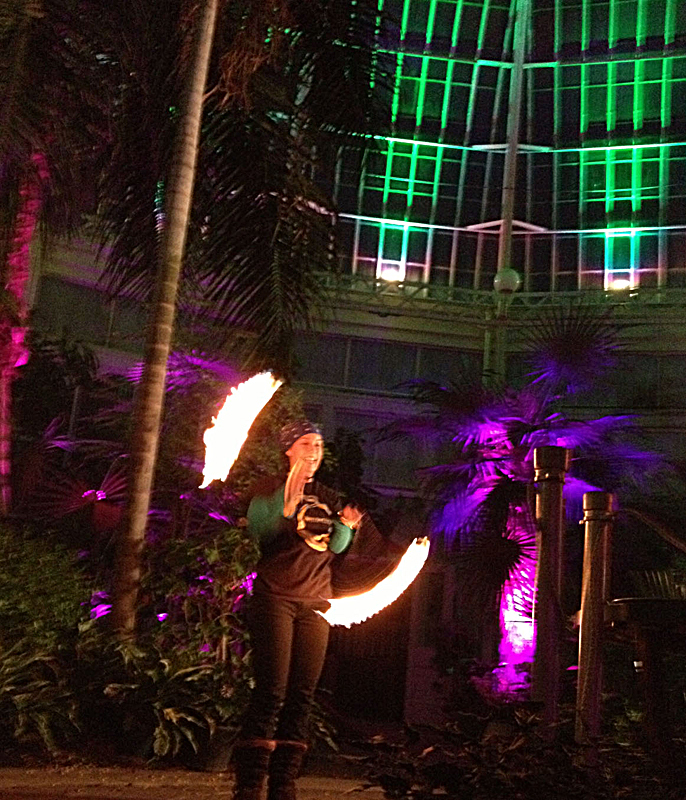 Spun Out Fire, a group that performs something that’s like baton twirling with fire, will perform from 7 to about 9 p.m. Saturdays, Feb. 1, 8 and 15 outside in front of the Botanical Gardens. You can buy tickets at the door, but if you buy them online, you can avoid the lines. If you buy tickets online, use the back door. 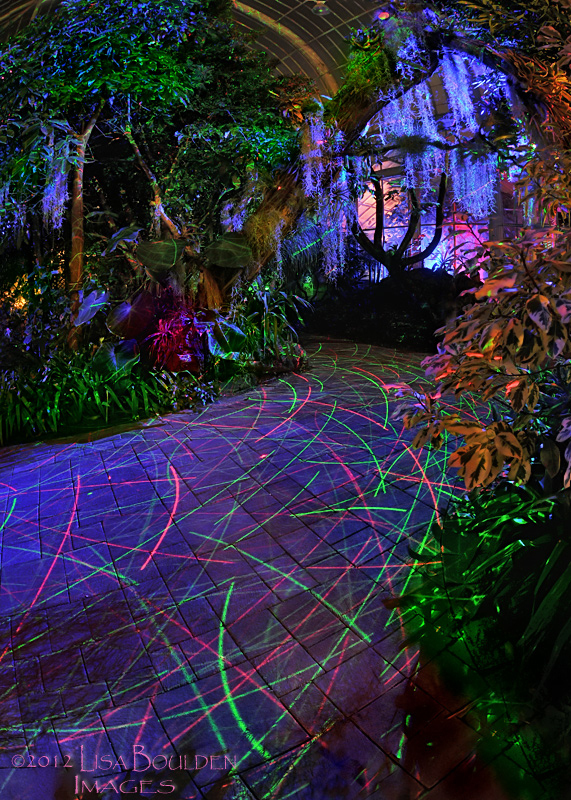 Botanical Gardens members can also go in the back door. Don’t get there too early; doors don’t open until 6 p.m.
Wednesdays and Thursdays generally are less crowded. Wear short sleeves under your winter coat—It’s warm in there! 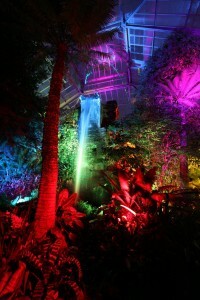 This was one of the most fun times I had photographing at the Botanical Gardens. It was a great show last year. Sure to be this year too.